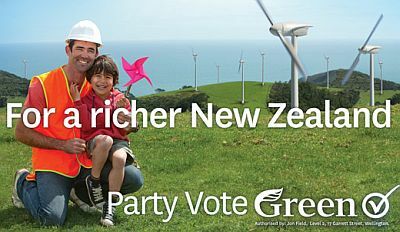 I've put up about 120 of the Greens 'windmills' billboard, and about 40 of 'stream' (as they're known to the campaign team). 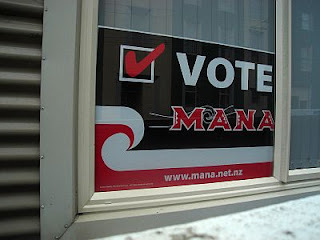 I've also put a number of He Whenua Tonui (the land prospers), the Maori language iteration of stream. So I've had a little time to think about them. 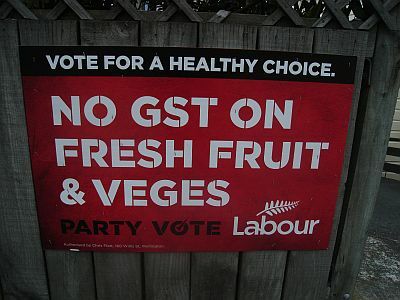 They avoid policy, but speak messages very clearly. Kids, rivers, jobs, and an inclusive society. 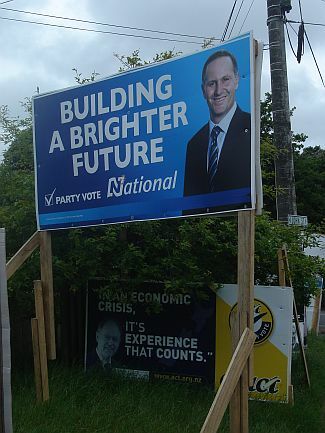 Devoid of direct slogans or policy planks, but heavy with symbolic meaning. Is this a bad thing? They certainly don't talk about what is required to get there, the costs and the losers, or speak about sacrifice. 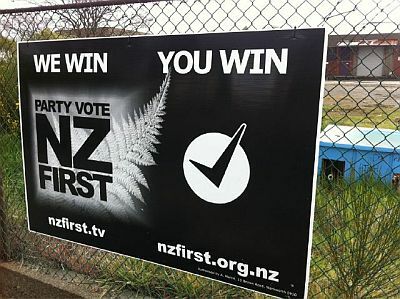 Such is politics right now, where there are no losers, only winners. 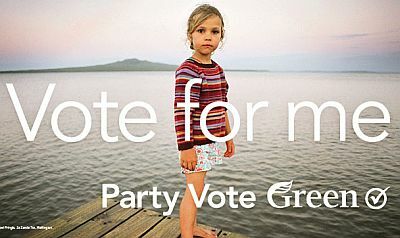 The party is also using the child heavily across media, the Greens own version of the child from McGehan Close. 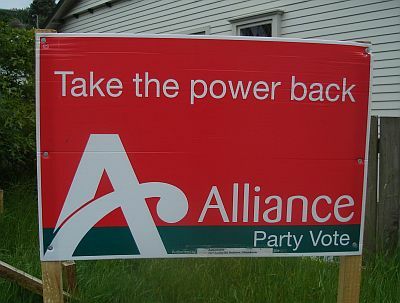 Until 2008, the party did its own billboards and material. As a result they were simple and policy focused, and often cluttered or unimposing. 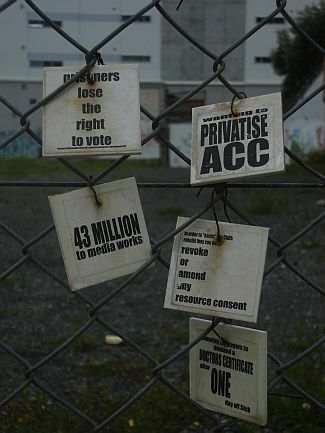 In 2008 the campaign won awards, but it essentially said nothing and allowed the viewer to pose their own interpretation. 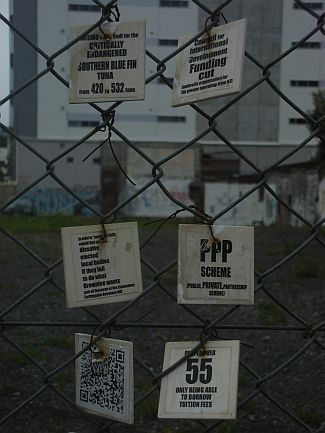 These have slightly more meaning, but again are pleasantly devoid. 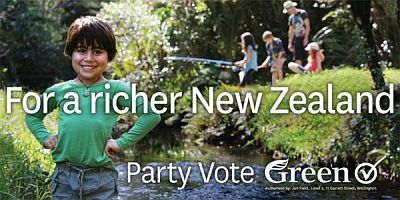 Thankfully there's enough in the campaign for the public to connect with ("kids, rivers, jobs"). But really, the best thing about them as far as I'm concerned is that they're pretty. 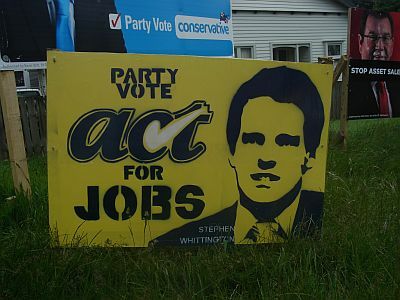 As I doorknock sites, the owners are fairly pleased to have something that attractive on their fence or yard. From an entirely practical standpoint 'stream' failed, because it was indistinguishable from a background of trees. The second one incorporated that feedback. 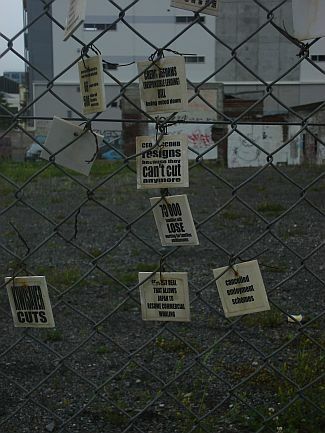 They avoid policy, but speak messages very clearly. Kids, rivers, jobs, and an inclusive society. 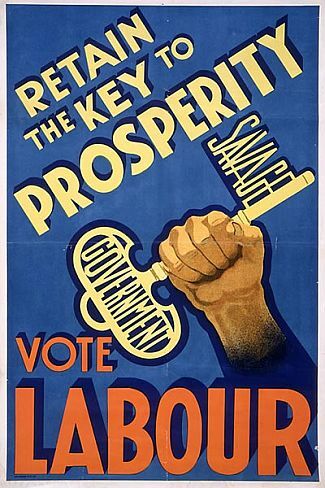 Devoid of direct slogans or policy planks, but heavy with symbolic meaning. 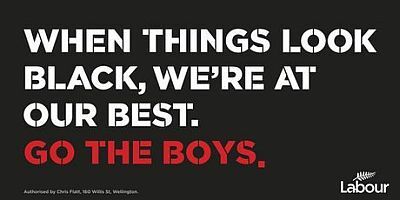 Is this a bad thing? 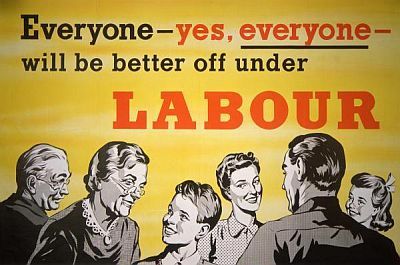 I'm not saying it's necessarily a bad thing, nor that the old Labour posters I have shown are any less loaded or any more transparent, but... where do the Green posters show an inclusive society? Genuine question. 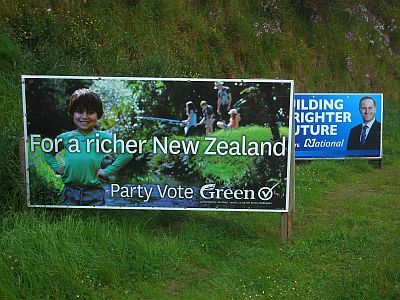 where do the Green posters show an inclusive society? It can be argued that a young Maori child who happy and apparently healthy speaks that much, and that the obvious play on words about a society that looks beyond monetary gains to the things that actually matter, is an inclusive one. 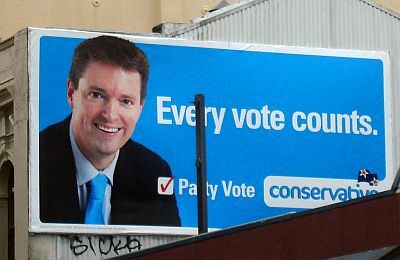 Those are the ideas that lie behind the billboards, how well they communicate that, or whether Greens policy would deliver that is a legitimate matter for debate. That packs a whole lot of meaning in the 2011 child having a darker skin than the 2008 child. 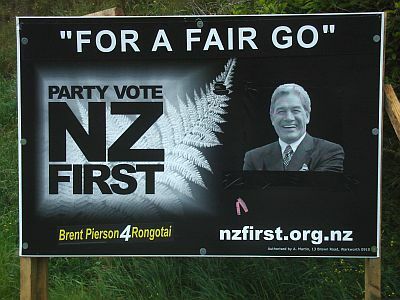 I also note that while he does look like he might be Maori or at any rate Polynesian, his family doesn't, and there are no cultural markers outside of a generic Newzealandness (a family frolicking by the river). That packs a whole lot of meaning in the 2011 child having a darker skin than the 2008 child. 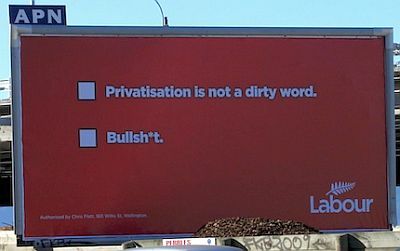 You're reading a whole lot of meaning into political posters. Now this is your speciality not mine, but I'd say at that depth the ethnicity of the child is worth unpacking. That's what I mean - reading that as a straight signifier of inclusion seems a little problematic to me. 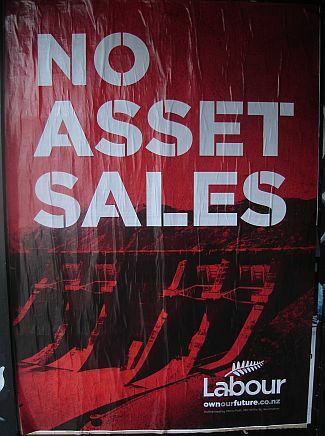 I had real hope after seeing Labour's election ad/launch: despite its problems, it seemed to me as though they were promising to launch a bold campaign in which they would perform a structural analysis of post-Rogernomics NZ. 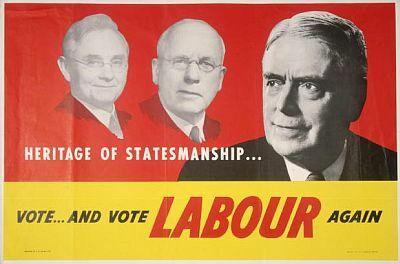 I really had some hope that they were going to connect to the glories of Labour's past, to the politics of Michael Joseph Savage rather than Roger Douglas. I have been disappointed. 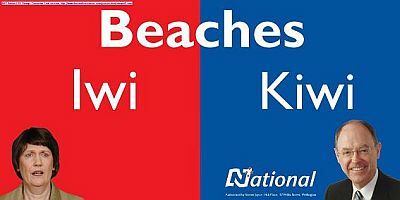 It's been anything but a bold campaign; the ideological differences are relatively slight.